Today the Board of Directors of TELUS Corporation announced a quarterly dividend increase of from CA$ 0.4925 to CA$ 0.505 per share that’s payable January 2, 2018 to holders of record December 11, 2017. This represents a 5.21% increase year-over-year and 2.54% increase to the last quarter dividend. 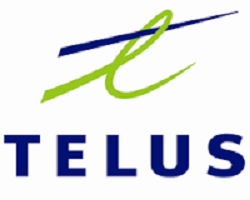 This was the fourteenth dividend increase since TELUS announcing their multi-year dividend growth program in May 2011 With current price CA$ 47.09 (Yesterday's close), this raise brings their dividend yield to 4.29%. Since I own 180 shares of TU, this will increase my portfolio's projected annual net dividend income by CA$ 6.71. That increase rises my YOC to 4.79%. Congrats on the divy increase !